Mine has the lip. Thanks for this interesting bit of information. 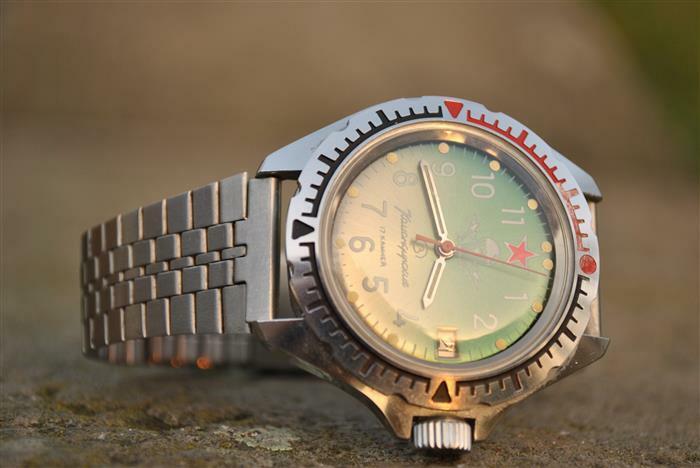 I've been looking for a 034 Komandirskie 3aka3 with the "amphibian" bezel. Now I know to check for the sloped back. you both are absolutely right. The version with the amphibian bezel is an earlier issue and has an amphibian second hand as well..
LOL I also have this one... 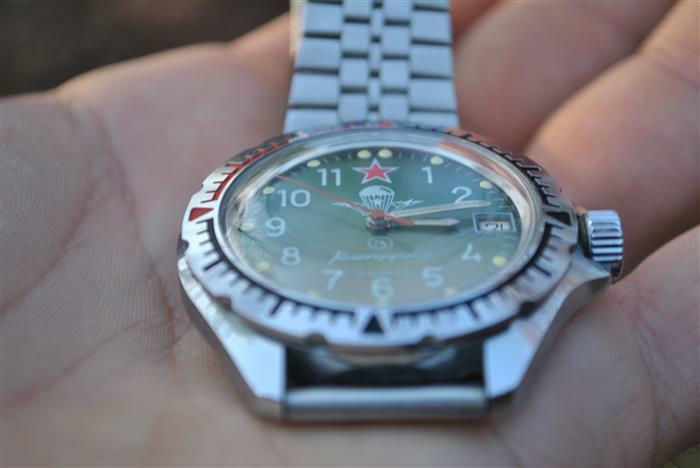 I thought the lower part of my dial had faded. 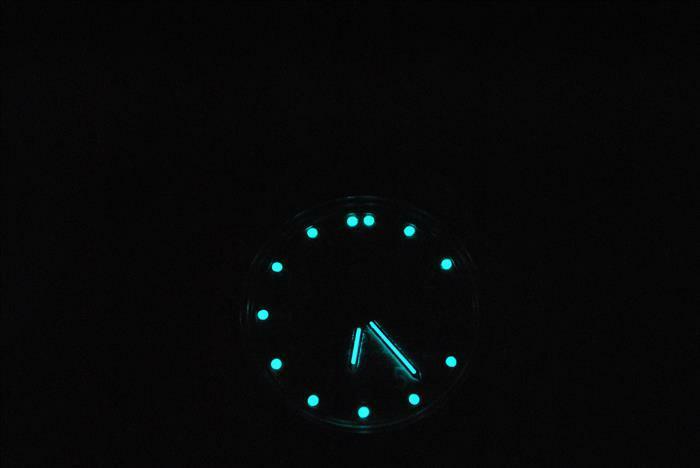 But it looks like the dial is a gradiant green. I wonder if the difference is linked to the 'meatball' sweep hand. My 3aka3 has the non-numeric bezel, but also the stick-type sweep hand with no lume area on it, as in the example posted above. Last edited by vp70m; May 7th, 2013 at 17:54. Here's mine. Showed up today from Amil, was purchased April 13th. Hope this gives an idea what current shipping times are from Russia. amil and OCDood like this. Ejekutor, OCDood, heimdalg and 1 others like this. Arrived yesterday. Shipped by Zenitar on the 8th, arrived in the Bay Area CA on the 17th. My Blue Scuba Dude took just 2 weeks, this time it's even faster. It is now my new favorite thing. Mine arrived in this mornings post - 12 days Ukraine to New Zealand! 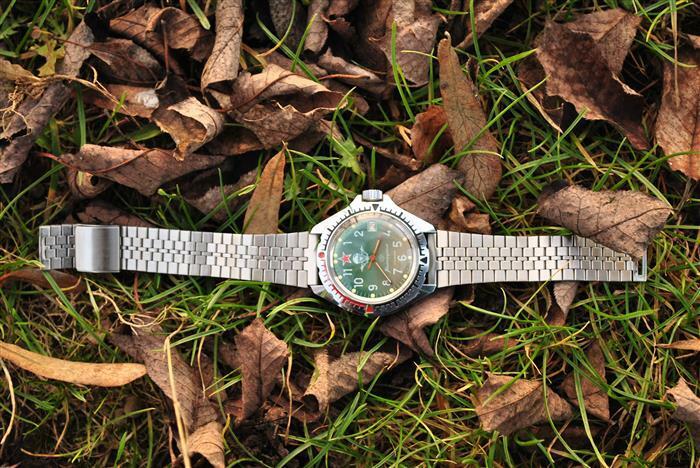 I'm very happy with it, watch is in near mint condition, looks great, feels great. 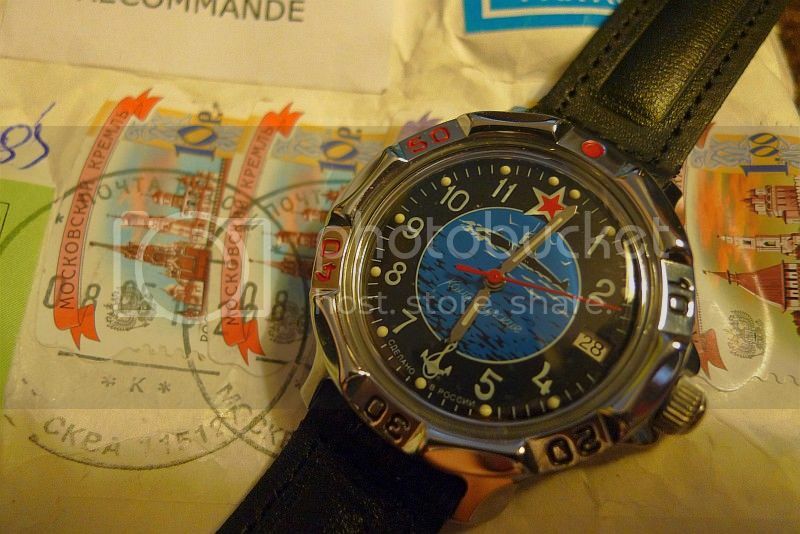 My first 'Russian' but won't be my last (actually I've got a nice 1970's Molnija Molnia pocket watch inbound too). 40bucks for this (1960's?) Komandirskie Submarine. Incredible bang for buck I think. I love it. I'm new to forum so not sure If I can list the ebay seller, but pm me if you want to know as I 'm very happy with his service. Tsarli, nitroproof and Nort2068 like this.